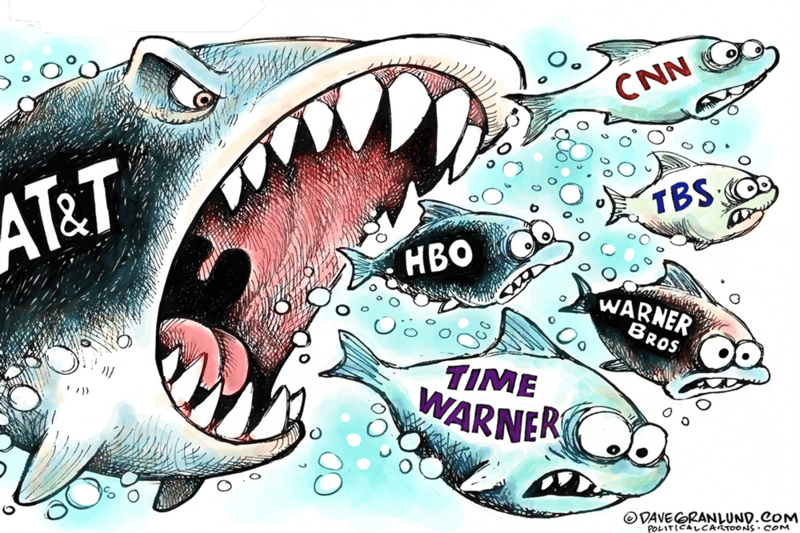 Oligopoly cartoon by Dave Granlund. Grzegorz Konat is an economist at the Institute of Agricultural and Food Economics, National Research Institute, Warsaw, and a frequent contributor to the Polish edition of Le Monde diplomatique. John Bellamy Foster is the editor of Monthly Review and a professor of sociology at the University of Oregon. This interview was initially published in Polish, in Realny kapitalizm. Wokół teorii kapitału monopolistycznego [Real Capitalism: Exploring Monopoly Capital Theory], edited by Grzegorz Konat and Przemysław Wielgosz (Warsaw: Instytut Wydawniczy Książka i Prasa, 2017). Grzegorz Konat: What are the most important qualities of the monopoly capital school? What distinguishes this tradition from other currents within Marxism? Early theories of monopoly capitalism, though emphasizing the concentration and centralization of production, monopolistic pricing, and modern finance, did not adequately connect this to the theory of capital accumulation. For later thinkers, such as Paul A. Baran and Sweezy in Monopoly Capital , understanding how accumulation or the laws of motion of capitalism had changed with the rise of the giant corporation was therefore the fundamental problem. They concluded that the principal crisis tendency of the system had switched from one of underaccumulation (related to the tendency of the rate of profit to fall due to a rising organic composition of capital) to overaccumulation (or the problem of surplus absorption). The term “overaccumulation” in this sense was first introduced by Sweezy in The Present as History. It referred to the weakening of actual accumulation or investment, in relation to the social accumulation fund potentially available for capital formation. In this perspective, the main barrier to accumulation in the present is accumulation that occurred in the past, evident in chronic problems of overcapacity. The central problem is thus surplus absorption, particularly with respect to the limited outlets available for profitable investment. It is crucial to the overall theory that the monopoly capitalist economy does not simply stagnate, since countervailing factors such as the sales effort, military spending, and financialization come into play, serving to prop up the economy—but only at the cost of further layers of contradictions. Another distinctive aspect of the monopoly capital tradition is the emphasis that it placed from the beginning on the growth of multinational corporations, viewed as the extension of the sphere of operation of the giant monopolistic firms to the imperialist world system as a whole. In fact, it can be argued that the most important pioneering work on the analysis of multinational corporations emanated from thinkers associated with Monthly Review—political economists such as Stephen Hymer, along with Baran, Sweezy, and Harry Magdoff. The strong emphasis on multinational corporations in monopoly capital theory continues today—for example, in the recent work of Samir Amin, and in John Smith’s Imperialism in the Twenty-First Century . GK: Over the years, the analysis of the monopoly capital school has been criticized from different angles, perhaps mostly by other Marxists. Among other things, there was the alleged lack of wage theory or the supposed misspecification of the true (i.e., competitive) nature of modern capitalism. How would you respond to these allegations and how do you view the relationship of Monthly Review with other Marxist currents today? JBF: The wage theory has always represented a serious problem for Marxian political economy once you move away from the subsistence-based theory. This has long been understood, as you can see by reading Maurice Dobb’s Wages or Ernest Mandel’s “The Final Shaping of the Theory of Wages,” in his The Formation of the Economic Thought of Karl Marx (published, incidentally, by Monthly Review Press). One gets a clear sense of how difficult it is to relate the classical wage theory to contemporary capitalism from Anwar Shaikh’s recent magnum opus Capitalism. As a result, most Marxian theorists have been content to leave the matter where Karl Marx did, simply assuming that the value of labor power reflects historically determined subsistence levels, while not examining the structural changes that have occurred in the period since Capital was written. This has been a glaring weakness of Marxian theory in general. It was the monopoly capital theory that addressed this problem most seriously from the start, particularly in the work of Michał Kalecki and Baran. Baran’s The Political Economy of Growth relied heavily on Kalecki’s core postulate that “workers spend what they earn, capitalists earn what they spend.” In effect, Kalecki replaced the absolute subsistence assumption with one that workers don’t save. However, Nicholas Kaldor argued in a criticism of Baran that if we assume that wages equal the value of labor power and that the wage share of income is stable—which was seen as a kind of law of the modern economy by both Kalecki and John Maynard Keynes—then the Marxian theory of a rising rate of exploitation and increasing surplus/surplus value is contradicted as far as the overall economy is concerned in the twentieth century. It was this more than anything else that induced Baran and Sweezy in Monopoly Capital to develop the concept of surplus, as a complementary notion to surplus value. Like Piero Sraffa (but based on a different argument) they insisted that a part of the surplus was concealed in the monopoly stage in wages as more and more unnecessary or unproductive expenditures related to the absorption of surplus (for example, marketing expenditures) were incorporated into the “shopping basket” of the workers. This argument on wages was implicit in Monopoly Capital, particularly in the chapter on “The Sales Effort,” and we can now see much more clearly how the analysis was developed with the publication in MR in July–August 2012 of a missing chapter of Monopoly Capital, entitled “Some Theoretical Implications,” and through Baran and Sweezy’s correspondence, newly available in The Age of Monopoly Capital: Selected Correspondence of Paul A. Baran and Paul M. Sweezy, 1949–1964 , edited by Nicholas Baran and myself. The problem in interpreting the wage analysis underlying their work was that Baran’s draft of “Some Theoretical Implications,” which dealt with this issue, ended up being omitted from the book by Sweezy, due to Baran’s death in 1964 and because the two thinkers had not been able to work out all the wrinkles. This made that part of their argument unclear but nonetheless open to reconstruction, based on the larger logic of their analysis. The essential elements of the argument were captured in the early 1980s by the Polish political economist Henryk Szlajfer, in essays included in the collection The Faltering Economy (1984), edited by Szlajfer and myself. Not only did Sweezy support Szlajfer’s interpretation, but the subsequent publication of the missing chapter and Baran and Sweezy’s correspondence verified these conclusions. In monopoly capital theory, the approach to wages is at its base the same as in Marx’s theory—that is, rooted in the concepts of the value of labor power, the rate of surplus value, and the industrial reserve army. But beyond that, various factors related to the monopoly stage itself enter in (such as the growing role of waste or socially unproductive labor) that account for the rising rate of exploitation, even in the context of what appear at times to be historically high wages. To explain this, Baran and Sweezy dug deeper into Marx’s analysis, drawing, for example, on his concept of “profits by deduction” to explain changes in the wage relation under monopoly capitalism (see my introduction to “Some Theoretical Implications” in the July–August 2012 issue of MR). Related to this was Kalecki’s own more developed wage theory with respect to monopoly capitalism, which he presented a few years after the publication of Monopoly Capital in his essay “Class Struggle and the Distribution of National Income,” published in 1971, shortly after his death. This was a powerful extension of Marxian analysis, which in many ways complemented the theoretical framework that Baran and Sweezy had been developing, and which was crucial for the monopoly capital tradition. Shaikh recognizes the importance of Kalecki’s wage theory, but follows the common practice in economics in Britain and the United States of classifying Kalecki (as well as Baran and Sweezy) as post-Keynesian rather than Marxist or neo-Marxist in orientation, thereby conflating Kalecki, in particular, with the heterodox post-Keynesian tradition as this is understood today in the United States and Britain, which has selectively carried forward many of Kalecki’s ideas, while often abandoning his more critical analysis. With respect to competition, there is no sense in which monopoly capital theory denies its centrality in capitalism. Rather, the question is the way in which competition is transformed as a result of the increased concentration and centralization of capital and the growth of monopoly power. The reality since the beginning of the twentieth century or even earlier has been the dominance in the advanced capitalist economy of giant corporations with considerable monopoly power over price, output, and investment. 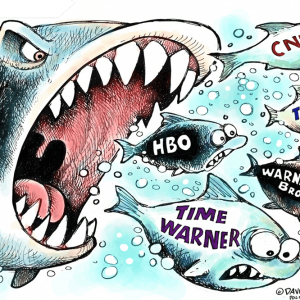 These monopolistic (or oligopolistic) corporations engage in fierce oligopolistic rivalry. However, the principal difference, when compared to the stage of free competition, is that genuine price competition between monopolistic capitals is effectively banned by the large firms as too destructive. Given the centrality of price competition to the functioning of capitalism, this modifies the whole nature of accumulation. One consequence of this changeover can be seen in the price level. In the United States the price level in the nineteenth century fell pretty much every year in the nineteenth century (except during the Civil War), while it rose almost every year in the twentieth century (except for the Great Depression). The general rule is that prices under monopoly capitalism go only one direction—up. Of course, this applies mainly to mature, concentrated industries and not to new industries where a shakedown process is still occurring, as in the early stages of digital industry. Another consequence—explained definitively by Josef Steindl in his Maturity and Stagnation in American Capitalism—is the high levels of excess capacity under the regime of monopoly capital, since, faced with weak demand, the giant corporations seek to protect their gross profit margins (rates of surplus value) by reducing capacity utilization—something not possible in a system in which genuine price competition prevails. The existence of sizeable amounts of excess capacity in turn depresses investment, in a kind of vicious circle. Competition in the monopoly stage, then, does not take the form of price competition so much as competition in marketing, product differentiation, mergers and acquisitions (firms buying each other up), and so on. To be sure, competition for low cost position in any industry continues unabated, since this is the key to higher profit margins. Capital thus struggles endlessly for higher rates of surplus value (or a higher mark-up on prime production costs). In this respect, competition remains the enforcer of the laws of motion of capital, as in Marx. Nevertheless, an economy under the hegemony of billion-dollar corporations is a far cry from the small family-firm capitalism that prevailed in Marx’s day. Much of this was foreseen by Marx and Frederick Engels (though they wrongly saw it as a harbinger of socialism). Thus Marx wrote that big capitals beat the smaller, and indicated that competition rages in intensity “in direct proportion to the number and in inverse proportion to the magnitude” of firms. He pointed out that the centralization of capital was aided by the development of the modern credit system, including the stock market. And he underscored the significance of the joint stock company or the modern corporation. GK: The attitude of the monopoly capital school toward the labor theory of value seems to be of particular importance. What is the significance of this theory for the Monthly Review school? And how does this relate to the work of Sweezy, Baran, and Amin? JBF: In the monopoly capital tradition, the labor theory of value of classical political economy, and particularly that of Marx, has always been the indispensable key to the critique of capitalism, and adherence, explicit or implicit, to the value-theoretical critique is required (though of course not sufficient) if an economic analysis is to be considered Marxist at all. Although critics sometimes say that Baran and Sweezy abandoned the labor theory of value, this was never the case. Rather, their whole framework, as I explained in The Theory of Monopoly Capitalism, was designed to give the value-theoretical critique a wider range. (See, for example, Sweezy’s “Monopoly Capital and the Theory of Value” in The Faltering Economy.) Now that “Some Theoretical Implications” has been published, along with Baran and Sweezy’s selected correspondence in The Age of Monopoly Capital, we can see exactly how they sought to transform the value-theoretic critique derived from Marx in order to address the new developments associated with the monopoly stage. To be sure, there are certain inherent complications and discontinuities that arise with respect to monopoly pricing and value. Sweezy explored the question of monopoly pricing and its relation to value theory many times, and always built this on Marx. It is true that bringing monopoly pricing into the analysis makes the whole economic argument more difficult, destroying the mathematical elegance of economic relations that one gets if one assumes free competition—this is as true for neoclassical economics as for Marxian economics. But, when forced to choose between theoretical elegance and real-world analysis, historical materialism requires that we choose the latter. In recent years, Baran and Sweezy’s approach has been extended on a global level in Amin’s pioneering work on “generalized monopoly capitalism”; see especially his forthcoming book Modern Imperialism, Monopoly-Finance Capital, and the Law of Value . GK: It has been a little over five years since you published, with Robert W. McChesney, a very important book entitled The Endless Crisis . How do you, a few years on, view the theses presented in it? Is the global situation developing according to the model presented in the book? JBF: The Endless Crisis grew out of the book The Great Financial Crisis that I had written with Fred Magdoff, published three years earlier. Most of that book was written (and published in the form of articles) in 2006–07, ahead of the collapse of Lehman Brothers in September 2008. In 2006, marking the fortieth anniversary of Monopoly Capital, I introduced the notion of monopoly-finance capital, as a new phase of the monopoly stage, and as a way of conceptualizing the historical changes that Sweezy in 1997 had summed up as “the financialization of the capital accumulation process.” The argument was presented as a dialectic of stagnation and financialization, with the latter as the main countervailing influence. From this emerged the thesis that with a severe enough financial crisis, capable of arresting the progress of financialization, the economy would stagnate, with no visible way out. The Endless Crisis was the application of that thesis. Following the Great Financial Crisis, it was generally assumed by economic commentators that things would return to normal. The argument that McChesney and I advanced in The Endless Crisis was rather that stagnation, due to the weakening of financialization, was here to stay—at least in the foreseeable future. I think the greatest compliment that the book received came from James K. Galbraith two years later, in his informative book The End of Normal, where he described McChesney and me in The Endless Crisis as “early adopters of the there-will-be-no-recovery position.” Of course, by that Galbraith did not mean that there would be no business cycle recovery—a position that neither he or we would have argued—but merely that a secular trend toward stagnation was now asserting itself directly and for the foreseeable future. In our analysis, we indicated that this was a global phenomenon, even extending, as we argued in great detail, in many ways to China—a proposition that has also held up, since the Chinese growth rate, while still historically high, has been negatively affected by global stagnation tendencies. The main impact of The Endless Crisis, though, was in its argument on growing monopolization in the U.S. economy and the world economy as a whole. In this we had the help, in some of the early pieces that would form the basis for the book, of R. Jamil Jonna, associate editor for communications and production at Monthly Review and a very gifted statistical analyst and political economist. Our empirical and theoretical work played a visible role in turning around the mainstream argument on monopolization, influencing figures like Paul Krugman and Nancy Folbre in the New York Times, and numerous business and economic publications, and helping to generate a growing understanding of the internationalization of corporate monopoly power. A big part of the argument was to explain how the globalization of monopoly-finance capital was now being leveraged by the global reserve army of labor through the process of the global labor arbitrage, systematically exploiting lower wages in the global South (and in Eastern Europe). This, we have argued, established a new phase of imperialism, encompassing both its economic and geopolitical aspects. This was accompanied by new forms of unequal exchange, as Smith has explained in Imperialism in the Twenty-First Century. The major weakness of The Endless Crisis was that it did not deal sufficiently with politics and the state. This was partly because we were uncertain at the time about how the developments emerging from the Great Financial Crisis would translate into contradictions at the level of the state. Since then, both McChesney and I have separately focused on the crisis of the liberal democratic state: he most notably in his 2016 book with John Nichols, People Get Ready, where they pointed, before the rise of Trump, to the dangers of the growth of fascist political movements in the United States; and in my case, more recently, with my book Trump in the White House, where the question of neofascism is raised. If we were to revise The Endless Crisis at this point, it would not be to alter anything in the basic economic argument, but rather to address the issue of the crisis of the liberal-democratic state. GK: And how does the present situation in the United States fit into the description of the functioning of the modern capitalist economy proposed by contemporary monopoly capital theory? JBF: Today the situation is still one of what we called “the stagnation-financialization trap” characterizing the monopoly capital period. David Leonhardt, an economic columnist for the New York Times, published an article on October 12, 2017, entitled “We’re About to Fall Behind the Great Depression.” His column included a chart developed by Larry Summers and Oliver Blanchard showing the trend lines for the first twelve years after the Great Depression and the Great Recession/Great Financial Crisis, indicating that the economy, according to the current growth trend, will have recovered less in the latter. Of course, twelve years after the Great Depression the U.S. economy, referred to at the time as “the arsenal of democracy,” was being bolstered by the Second World War in Europe and was itself soon to enter the war. Nevertheless, the comparison is a dramatic one. Today there is no doubt about the strength of the underlying stagnation tendency—as Monthly Review has insisted for more than half a century. The key notion of the stagnation-financialization trap stands for a historical situation in which the economy stagnates except when inflated by credit-debt bubbles, which eventually burst. Given that the underlying problem is one of overaccumulation, in the sense of a problem of surplus capital absorption, there is no easy way out of this dilemma for the system. The way out of the Great Depression, i.e., the Second World War, is not something that can be repeated in the thermonuclear age. The main strategy of the system thus seems to be to get financialization going again by hook or by crook. However, the fact remains that the financialization of capital has been less effective as a driver of the system since 2007, resulting in seemingly endless stagnation—and with another recession soon due, if history is any guide. Quantitative easing notwithstanding, monetary policy is ineffective in righting the economy in a near-zero interest stagnation setting. Japan has been stuck in this situation since its financial crisis in the early 1990s. Now the United States and Western Europe are similarly mired in stagnation. GK: It seems that the work of prominent Polish Marxist economists—Rosa Luxemburg, Oskar Lange, and Michał Kalecki—was important for the development of monopoly capital theory. How do you assess this impact? JBF: Interestingly, monopoly capital theory had its strongest early proponents from the 1930s to the 1970s in Poland and the United States. The Polish contribution is most obvious when we look at the work of Kalecki, who of course was strongly influenced by Luxemburg. Lange can also be seen as a contributor in this area, particularly in his volume on Political Economy. It is important to understand, moreover, that Baran, although he was born in Russia, and educated in Russia, Germany, and the United States, actually carried a Polish passport, lived in Poland for a time helping with his family’s wood products business there, and was of course perfectly fluent in Polish. He was close friends with Lange in particular, as well as Kalecki. When Baran first met Sweezy in the stacks in the Harvard library in 1939, he was holding in his hand a letter of introduction from Lange. Sweezy, too, was close to Kalecki, who served behind the scenes as a crucial advisor to Monthly Review while he was at the United Nations from the late 1940s up to 1954. But it was Baran who was always the first to read Kalecki’s English works (probably because he was also familiar with some of Kalecki’s untranslated Polish writings) and who took the initiative in pointing Sweezy to Kalecki’s major writings, which the two of them discussed closely. Baran’s The Political Economy of Growth relied very heavily on Kalecki’s analysis, and Kalecki praised the book highly. Monopoly Capital drew its direct inspiration primarily from Kalecki and Steindl—a fact that they highlighted in their book. Taking the Kaleckian argument as their basis, Baran and Sweezy sought to explain the larger societal implications of the economic transformations associated with the dominance of the giant corporation. It is certainly significant that not only Luxemburg’s The Accumulation of Capital was published by Monthly Review Press, but also Kalecki’s Theory of Economic Dynamics and his Last Phase in the Transformation of Capitalism. It should be noted that Baran and particularly Sweezy, as their correspondence shows, were initially very critical of Kalecki for failing to base his analysis on Marxian value theory. But Sweezy later concluded that Kalecki had modeled his theory on Marx’s value categories (including the reproduction schemes) to the extent that the value-theoretic basis was fundamentally present in his work—and that Kalecki was in many ways operationalizing Marx’s analysis in the present. Sweezy ended up arguing in his “Marxian Value Theory and Crisis” (in The Faltering Economy) that Marxian analysis could be developed on a price (or price of production) basis, but only if one was cognizant of the main value-theoretic relations, without which essence would give way to appearance. This was directly related to Kalecki, as well as to Baran and Sweezy’s own work. Some of this discussion draws on an essay that I wrote entitled “Polish Marxian Political Economy and U.S. Monopoly Capital Theory: The Influence of Luxemburg, Kalecki, and Lange on Baran and Sweezy and Monthly Review,” for the book The Legacy of Rosa Luxemburg, Oskar Lange, and Michał Kalecki: Volume 1 of Essays in Honour of Tadeusz Kowalik, edited by Riccardo Bellofiore, Ewa Karwowski, and Jan Toporowski. All of these thinkers—both those in the title and the editors—can, I think, be considered important contributors to the broad tradition of monopoly capital theory. A big moment in my life was briefly meeting Kowalik in Toronto in the early 1980s. (I was a teaching assistant at the time for the Polish economist Henryk Flakierski, who had worked with Kalecki at the Main School of Planning and Statistics.) Monthly Review Press later published Kowalik’s From Solidarity to Sellout, and Toporowski has written a number of times for Monthly Review. Szlajfer’s work in the early 1980s was seen by Sweezy as an important breakthrough in synthesizing the ideas that he and Baran had been concerned with in Monopoly Capital. My book The Theory of Monopoly Capitalism would have been inconceivable without his prior work, which in many ways inspired it. All of this suggests that the Polish and American connection in monopoly capital theory has extended to the present day. GK: In times of a deepening climate crisis and in the Anthropocene era, progressive environmentalists face numerous theoretical issues, and often seem to be slightly confused. Can we, in your opinion, find an answer to the climate change question in Marx? And if so, what conclusions and teachings come from his work in this regard? JBF: This is a complex issue—the most difficult of our time—that would require another interview altogether to do it full justice. I have written extensively on this, most notably in my book Marx’s Ecology. Interestingly, Marx did discuss regional anthropogenic climate change in his day. He was also very interested in the effect of paleoclimatic changes on the extinction of species through shifting isotherms. And he attended John Tyndall’s lectures around the time that Tyndall experimentally demonstrated the greenhouse effect. More to the point, however, Marx developed a theory of the ecological contradictions of capital accumulation, which is commonly referred to today as his theory of metabolic rift. What is important about Marx’s approach is that more than any other thinker, certainly of the nineteenth century, he explored the interrelated economic and ecological contradictions of capitalism. This was possible because of his dialectical approach, which led him to interpret the labor process as one of social metabolism, and thus as mediation between human beings and nature. It was the systematic rupture or rift in this essential metabolism brought on by capitalism that was, for him, at the root of the whole ecological problem, demanding more sustainable forms of production that would protect the environment for future generations. No other nineteenth-century thinker (except Engels, of course) came close to Marx’s level of insight in this respect. Moreover, the dialectical penetration of Marx’s thought, his attempt to link the materialist conception of nature to the materialist conception of history, and his general critique of capital gave him a socio-ecological vision beyond that of most environmentalists today. Brett Clark, Richard York, and I extended Marx’s metabolic rift perspective to the consideration of climate change in our book The Ecological Rift. The degree to which Marx explored the ecological problem, as revealed in his notebooks, is becoming more and more evident—most notably through the recent publication of Kohei Saito’s Karl Marx’s Ecosocialism: Capital, Nature, and the Unfinished Critique of Political Economy . From the start, monopoly capital theory was centrally concerned with the problem of waste, and thus made numerous contributions to the ecological critique, which are crucial for us today. The extraordinary level of waste—both economic and ecological—built into the monopoly capitalist economy means that radical changes in social relations could lead to rapid ecological improvements. What is necessary is not only an emergency response to the threat of climate change, which means going against the logic of capital, but, beyond that, a long ecological revolution to create a socialist society of substantive equality and ecological sustainability. Sweezy was an early proponent of this general line of thinking (for example, in his article “Cars and Cities” in the early 1970s). The field of environmental sociology in the United States, associated with thinkers like Alan Schnaiberg, was deeply affected by the monopoly capital argument, leading to a strong, even dominant neo-Marxian frame within U.S. environmental sociology. Another major thinker who should be mentioned in this respect is the late Marxist philosopher István Mészáros, one of the preeminent Marxian thinkers of our age, who in his book Beyond Capital incorporated the category of waste as conceived in monopoly capital theory into his analysis of “the activation of capital’s absolute limits.” The result was a profound critique of capital’s system of social metabolic reproduction. Many others are now contributing to the development of Marxian ecology, where much of the most pathbreaking work in Marxian theory as a whole is now emerging—in what is often referred to as the ecosocialist movement. GK: In recent years in left-wing circles in Poland, some new ideas have gained popularity. These are, on the one hand, the theories proposed by Thomas Piketty, and, on the other, the idea of the so-called universal basic income. What are your views—and those of the Monthly Review school in general—on these issues? JBF: Piketty is indeed interesting. Michael Yates and I wrote an article for Monthly Review shortly after his book appeared entitled “Thomas Piketty and the Crisis of Neoclassical Economics.” Piketty, we argued, was at the time he wrote his book already an extremely prestigious neoclassical economist, at the very top of the profession. He was particularly important because of his role in the establishment of the World Top Incomes Database, the state-of-the-art statistical database in this area. His book appeared seven years after the onset of the Great Financial Crisis and represented the first visible break, standing for the crisis of neoclassical economics as a whole. In this way it paralleled Keynes’s General Theory, which appeared seven years into the Great Depression. The most important observation in Piketty’s book was that “there is no natural, spontaneous process to prevent destabilizing, inegalitarian forces from prevailing permanently” in a capitalist economy. Moreover, the argument was backed up by data that was beyond question. This was a major break within neoclassical ideology (a kind of palace coup). It was comparable to Keynes’s argument that there was no reason that capitalism could not settle into an underemployment equilibrium. For Piketty, the system in the twenty-first century tends towards gross inequalities in wealth. From the standpoint of heterodox economics, this is hardly surprising. But for a prestigious neoclassical economist, who still held onto (though incoherently) the main tenets of neoclassical theory, it was quite remarkable. And because of his position in the neoclassical-economics hierarchy, there could be no immediate dismissal of his views within the profession. Piketty is also a gifted writer, capable of expressing his ideas in a powerful way, and drawing on literary references. What is especially worth noting is Piketty’s famous formula r > g, where r stands for the annual rate of return to wealth—which Piketty misleadingly calls “capital”—and g for the rate of the growth in income. The argument is that wealth can be amassed at the top even as the economy stagnates. Stagnation is in the background to Piketty’s theory, but never explained. Nevertheless, his analysis points to a growing class inequality in society, based particularly on dynastic wealth. His sole solution, though—argued from a social democratic standpoint—is a wealth tax. It is particularly important to understand that Piketty conspicuously avoids connecting the growing class inequality to an analysis of class power, and completely avoids the issue of monopoly power. His main thesis of r > g thus exists within a theoretical vacuum, revealing the larger weaknesses of neoclassical theory and breaching its structural integrity, without replacing it in any way. This is similar to Keynes’s partial break with neoclassical theory. For those in the monopoly capital tradition and for heterodox economists generally—especially those in the institutionalist and post-Keynesian traditions—Piketty offered little more than a partial albeit elegant confirmation of arguments that they had long made in a more comprehensive way. Naturally, it is hard to reject the idea of basic income with so many people suffering. But it is necessary to determine what it means in a capitalist society and for the movement toward socialism. The most coherent discussion I have seen on basic income and socialism is a piece by sociologist and analytical Marxist Erik Olin Wright on “Basic Income as a Socialist Project,” in the October 18, 2017, issue of the Canadian Dimension. Wright presents it as a key strategy in a long transition to socialism. He does so by arguing that it would strengthen the power of labor relative to capital, decommodify labor power, and strengthen the “power of civil society” over the “social surplus” and economic organization. Nevertheless, I find Wright’s argument unconvincing. It is a mere distributional strategy, which would leave power over production completely in the hands of capital. Nor does it challenge the capitalist state. Workers—basic income recipients—would be mere supplicants. Under these circumstances, any basic income enacted is likely to be minimal and marginally bolster the position of the poor—but not do much else. As a strategy of building socialist power over the state, this is far weaker than that which Kalecki advanced in his essay on “The Essentials for Democratic Planning,” in Selected Essays on Economic Planning, in which he argued that the achievement of full employment, and the leverage that this could give to the working class, was crucial in order to alter the entire structure of power. Kalecki’s strategy was aimed at the capital accumulation process—the moving force of the system—and at direct working-class control over production, rather than the mere creation of a new type of welfare system. It established the grounds, in his words, for a “continuing social revolution without which democratic socialist planning will remain a sterile dream.” His goal, like Marx’s, and that of the entire monopoly capital tradition, was the revolutionary reconstitution of society at large.